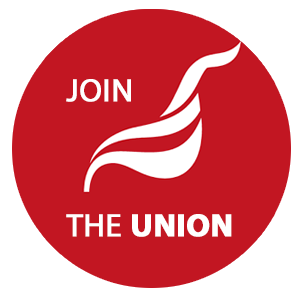 Branch members report working longer than contracted hours and being unable to take annual leave. A new survey shows this is a problem across the UK workforce. The vast majority of British workers do not take their full annual leave days they are entitled to by the end of the year, a new survey has found. By the end of the year, 72 per cent of workers have not taken off the annual leave days they have been allocated. When polled in November last year, workers had on average 7.5 days still to take off. Part-time workers were even worse off, according to the survey from human resources consultancy Lee Hecht Harrison Penna, which found that people who worked less than 8 hours a week had almost two weeks of entitled annual leave that they had not yet taken at the end of the year. In some cities, the average annual leave not taken exceeded the national average – in Norwich, for example, workers had on average nearly 9 days they had not yet taken, while in Manchester and Birmingham the average was 8.4 days and 7.7 respectively. This latest survey follows on from an analysis conducted by the TUC last year which found that millions of workers are not even being granted the annual leave they are lawfully entitled to. The analysis showed that 2.2m workers – one in 12 – are not being given the legal minimum number of days off, and half of these, more than 1m , are not being granted any annual leave at all. The TUC estimated workers are losing out on £3bn worth of paid leave each year, with just over 9 per cent of women workers losing out and 7.2 per cent of male workers not receiving the days they are entitled to. Some sectors are worse than others, with 348,000 people in retail not being given the legal minimum of 28 days annually (pro-rata and including public holidays). In education, 342,000 people lost out while in health and social care 291,000 lost out. Unite assistant general secretary Steve Turner said that the latest survey “only scrapes the surface of the burnout millions of workers are experiencing in a labour market dominated by long hours with sometimes multiple employers, low pay and insecurity, as well as unscrupulous bosses who deliberately ignore or undermine legal safeguards. “The survey notes that the vast majority of workers are not taking their full annual holiday leave but it does not ask nor answer a crucial question – why? We know from our members, as well as from previous TUC research, that it isn’t that workers don’t want to take a holiday. Rather it’s that some employers are using any means necessary – from pressure and poor management to overtly illegal practices – to keep staff from taking even the days off that they are legally entitled to. “To make matters worse, amid ongoing Brexit uncertainty, the EU’s working time directive — which guarantees those without union protection at their workplace, a minimum number of holidays each year, rest breaks, a maximum number of weekly work hours and a cap on excessive night work — is now also under threat,” Turner added.